Shakira’s famous “Waka Waka” blasts from a speaker, but the artist’s voice competes with stomping feet and gleeful shouts. Soon Shakira is barely audible as a room full of women break into a sequence of fast paced choreography. It might be early on a Sunday morning, but the energy in CRP’s Zumba class is high. CRP offers Zumba as an exercise class for women who are looking to maintain their physical health or let off steam. Zumba is an exercise program that originated in Colombia and combines dance and aerobic movements with energetic international music. Drawing from the rhythms of salsa, hip hop, ballroom, and other dance styles and techniques, Zumba is part cardio workout and part creative expression. Ameera, Shatha, and Haifaa burst into laughter when explaining why they enjoyed Zumba. Ameera is Jordanian, Shatha and Haifaa are Iraqi, and all three of them have been taking Zumba for about two years. 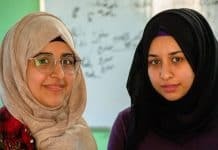 Ameera and Shatha are both also enrolled in massage, drawing, and beauty classes at CRP while Haifaa is also enrolled in drawing and yoga. 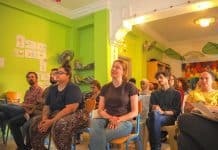 Offering so many classes that work on wellness, education, and trauma relief is a key part of CRP’s holistic approach. All three women arrive early and stay after Zumba in order to socialize with each other and their instructor, Kristin. Shatha and Zumba instructor Kristin enjoy each other’s company after class. CRP’s Zumba class meets every Sunday morning and is open to women of all ages. Since financial barriers prevent many refugee women from joining a gym, Zumba provides a needed space for continuing fitness. For Ameera, Zumba provides an opportunity to destress.“I like that it’s very active. When I do sports I feel very relaxed and it feels as though the pressure goes away,” she emphasized. 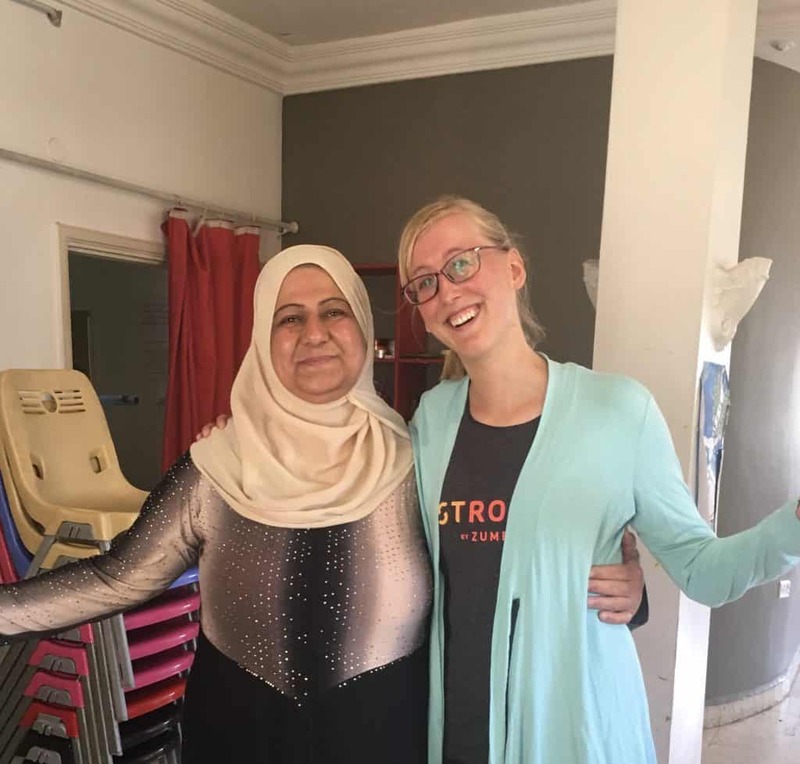 As Ameera talked Shatha cut in shyly to add,“I like to smile, and it’s fun.” For many refugee women and low-income Jordanians, there are few accessible social spaces like CRP’s classes. Soon Ameera and Shatha engaged Kristin in playfully teasing Haifaa for being so quiet during class yet so talkative in their social interactions. “I like to do my own thing in class,” admitted Haifaa amidst a chorus of laughter. “She’s so funny in class,” expressed Kristin. “I love her energy.” The conversation continued as the four women exited the classroom together. We rely on donors like you to keep programs like Zumba running. 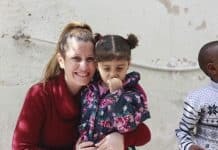 Donate here to support women like Ameera, Shatha, and Haifaa! Previous articleSummer English Classes Begin!